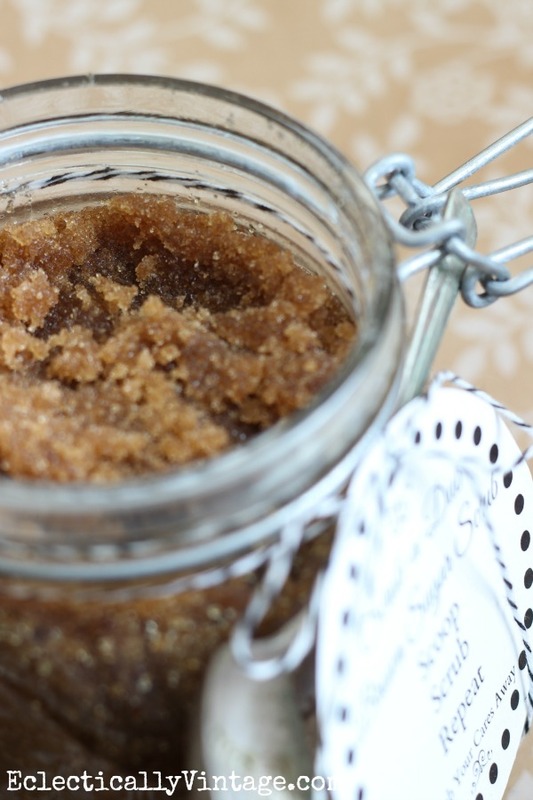 Make Brown Sugar Body Scrub with Free Printable Gift Tag (& My TV Debut)! 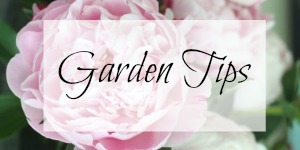 Need a quick and easy gift idea (that you can also keep for yourself)! Four ingredients that you most likely have in your cabinets are all you need to whip up this yummy sugar scrub. Add my Free printable gift tag to a cute jar and you’re set! P.S. Want to add a cute stamped silver spoon? I’m showing you how to stamp silver here. You’ll love my 3 Ingredient Lemon Scrub. Congrats on your TV debut. Break a leg or at least a small toe. This is Leo. For some reason I’m logged in as Jane. Oh well. Ooo, thank you! I am making this for my friends! Perfect!! Congrats on your TV Debut! I’m sure you were terrific! I’m gonna make this scrub for a few friends to add to their other gifts – love the packaging and the spoon – I’m gonna try stamping silver for the first time! Thanks for sharing, Kelly! Another home made gift I can try to make for next time! Thanks for sharing! 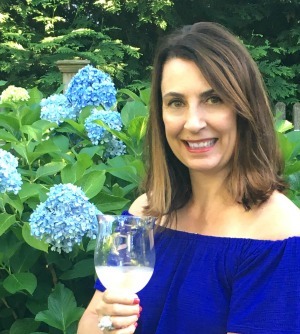 Congratulations Kelly! That is so exciting! 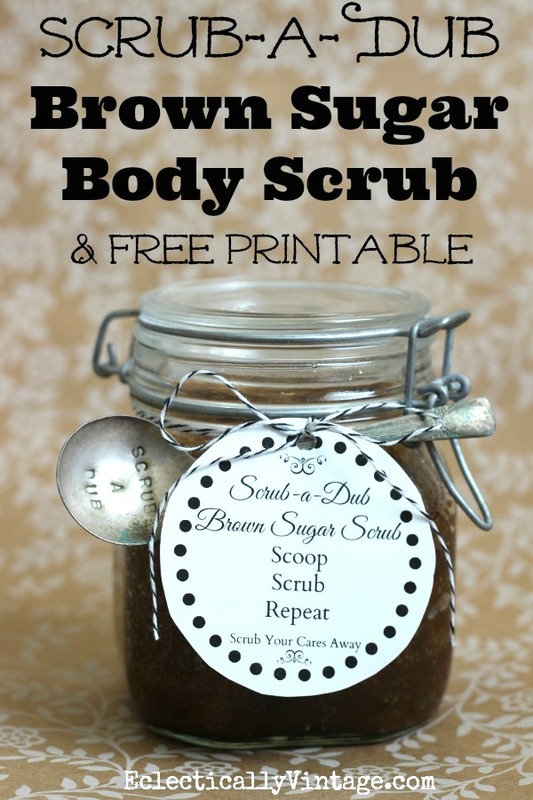 Love it…I have seen regular sugar scrubs but not brown sugar scrubs…great idea…Can’t wait to see the TV star in action!! !…congrats Kelly! Congratulations! I’m so happy for you and I am thrilled you are getting such exposure. Pinning this great DIY! I love this!! Just 1 question though… how long does this stay good before bacteria & mold grows? I’ve had mine in my shower for at least 6 months – no issues Bridget! Ok that’s great, Thanks Kelly!! Congratulations on your tv debut, how exciting! 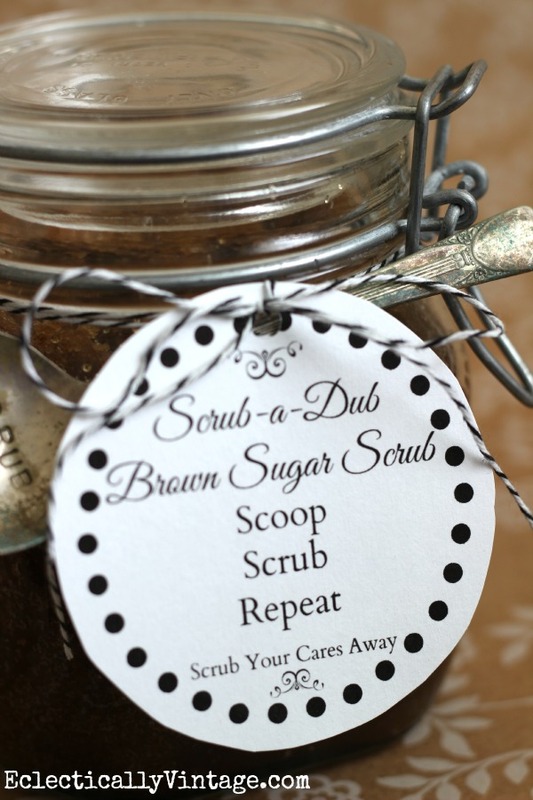 Thanks for the scrub recipe too, that would make a great gift – Pinning! Just made the scrub and filled an old mason jar as a gift. Added the printable label-perfect!! Thanks for such a great tutorial. Happy Holidays! Oh that looks so good… I think I’d want to eat it 🙂 I bet it smells delicious! I have never tried a body scrub before ~ I think this will be one of my ‘things to do’ for the New Year. Thanks for sharing! In case of lack of space in laptops or personal computers utilize personal accounts given by gaming websites. the path that your life takes by taking photos related to those moments. Can I sub avocado oil or extra virgin olive oil for the canola oil and add some vitamin E oil to slow oxidation? I usually use body scrubs only about 3 times a week so it might take 2 weeks to use up this amount of scrub. I haven’t tired using other oils so I’m not sure.